Dollars into Sense: Living a life of “Plentitude”. Living a life of “Plentitude”. 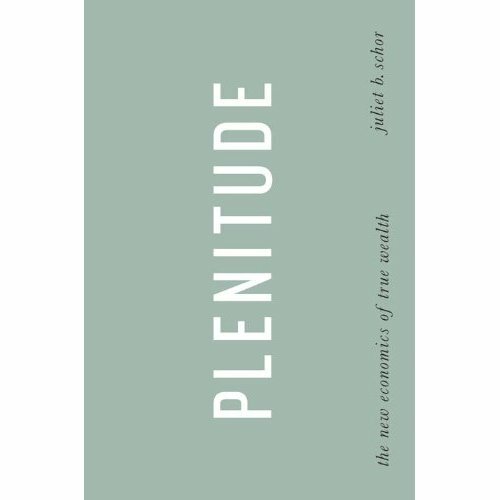 “Plentitude” by Juliet B. Schor is a book that discusses the new economics of true wealth. She challenges the once common practice of economic growth by way of borrowing and overleveraging, which eventually lead to the near meltdown of the global market place and the collapse of several financial institutions that have been around for over a hundred years. Juliet Schor and her book first appeared on my radar when she did an interview on National Public Radio’s daily afternoon show “Marketplace” in early April of this year. Schor’s book at first reads like a textbook, with a very philosophical and scholarly tone (not surprising considering she is currently a professor of sociology at Boston College), but eventually makes way to more fluid reading with theories and anecdotes that are both eye opening and refreshing. The basic fundamentals of Plentitude are to veer away from the business as usual or “BAU” approach and adhere to a less is more mentality. To lower one’s impact on day-to-day life by means of self-sustainability, support of local markets and community and the reassessment of our values and priorities. And in doing so, one does not have to put on a brown robe and clogs and live a life of depravity. 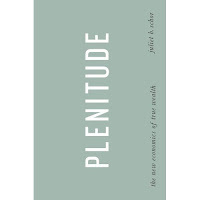 In fact, Schor states that Plentitude does not make consumption less important nor should we even be consuming less. Over the past 50 years or so, we have become increasingly dependent on Wall Street and the financial markets as a means of growing and acquiring wealth. This has been driven by consumer debt and consumerism, practices that are proving to be unsustainable and not just ecologically harmful but, at times has proven to be unfulfilling as well. Plentitude suggest; working less in a declining market, but to use the freed up time productively, to invest in new skills and activities. Some of the time should be deployed to replace higher priced food, energy, and consumer goods with homemade or community-produced alternatives. Schor states that freed up time should also be used to invest in social relationships, which is another form of wealth that we tend to overlook. And some hours will be spent in High-return leisure activities that require little or no monitory outlay; these are used as a substitute for the expensive commodities of the faster paced, higher –income lifestyle. I agree.....quality takes priority over quantity in life. When you have the time, you don't have the money and when you have the money, you don't have the time. Murphy's law! Keep on writing! Thank you Ant, you of all people know how to live a life of Plentitude!